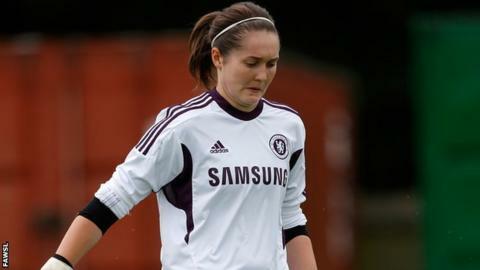 Liverpool Ladies have signed goalkeeper Sarah Quantrill from Chelsea. Quantrill follows new manager Matt Beard from the Londoners, as the Reds' boss joined the club following Robbie Johnson's exit in June. The 22-year-old keeper started her career at Norwich City and spent time at Arsenal before joining Chelsea in January 2011. It was with the Gunners she won the 2009 FA Women's Cup, beating Sunderland 2-1 at Pride Park. Quantrill goes straight into the squad for Sunday's match against Birmingham at Skelmersdale United.